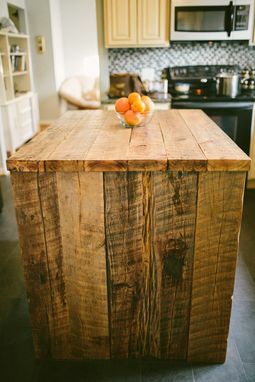 This was one of the first pieces where I discovered the beauty of reclaimed barn wood. 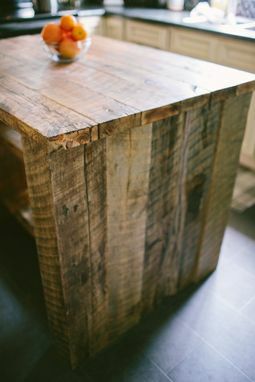 Working with a local I was able to find an old barn he had deconstructed which carried a unique warmth only reclaimed lumber has. The idea behind this island was for it to be stationary like a builtin, and so the legs were constructed from several solid beams joined together and the rest was made from boards about 2in thick. 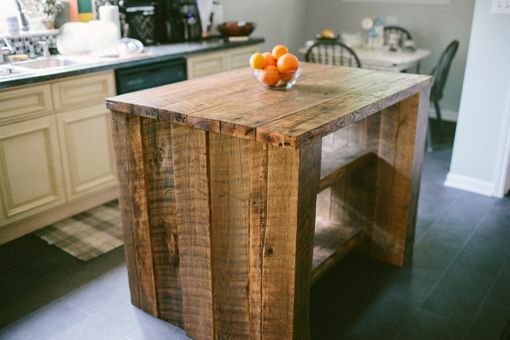 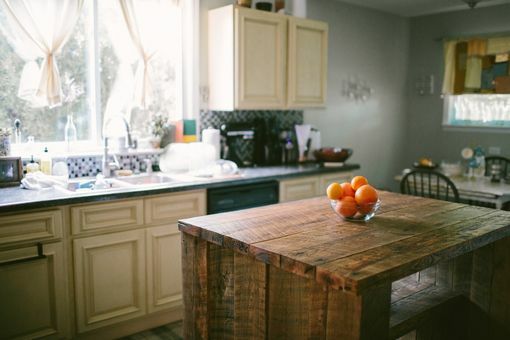 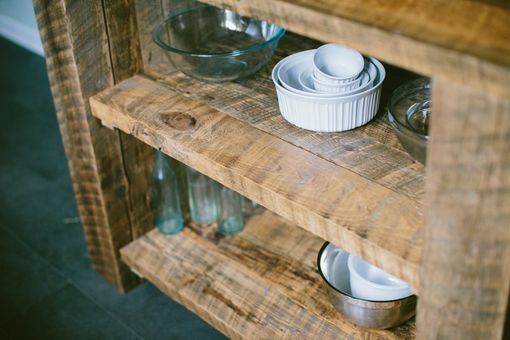 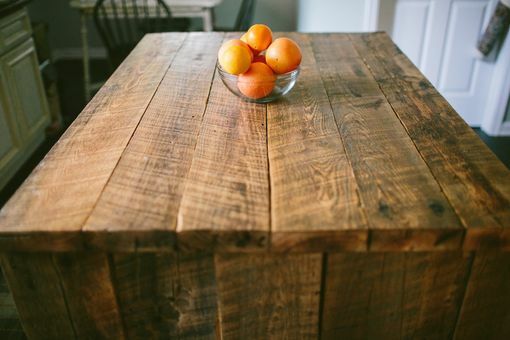 This makes for a seemingly immovable kitchen island that has stood the test of time and will last for decades more.